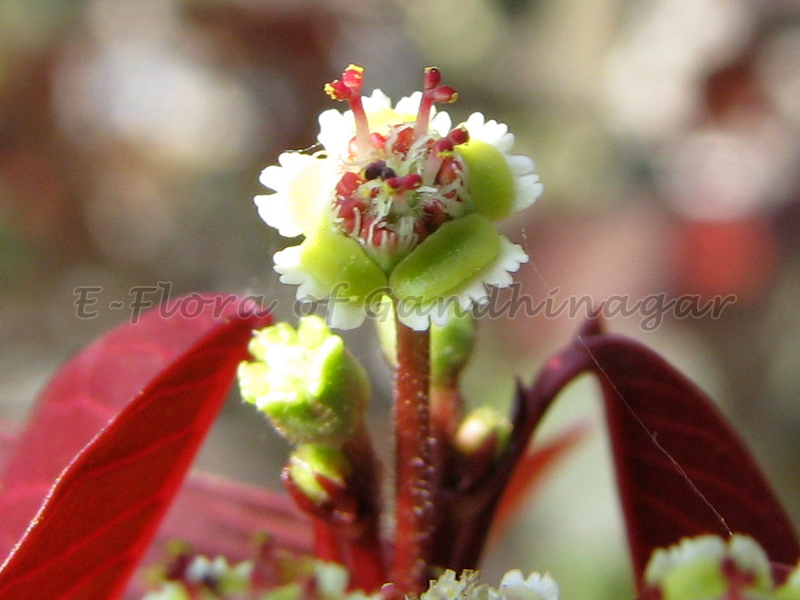 Botanical Name : Euphorbia cotinifolia L.
The generic name is said to be given in the honour of Euphorbus, a physician to King Juba of Mawitania.The specific name comes from the words cotinus meaning "smoketree" and folia meaning "leaf". 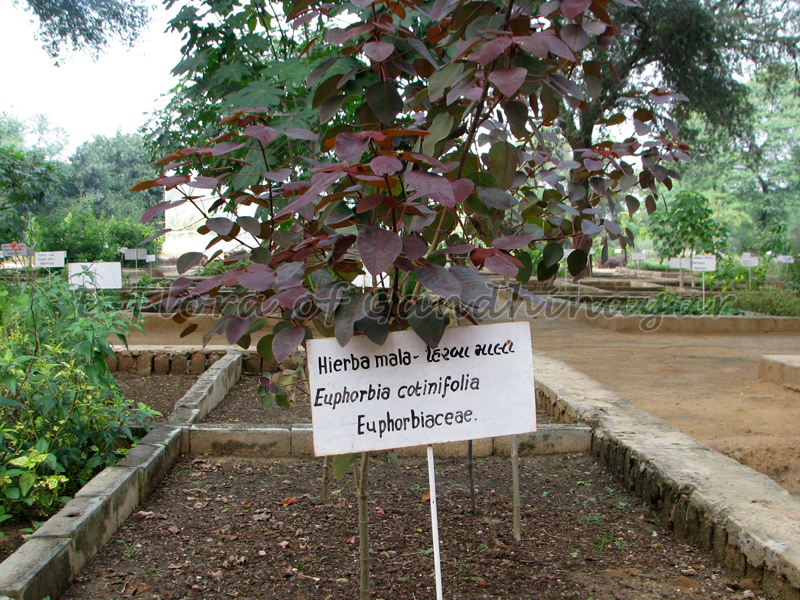 Habit : An evergreen shrub with flexible purplish stems and Cream, Light Gray or Dark Gray, Smooth bark. 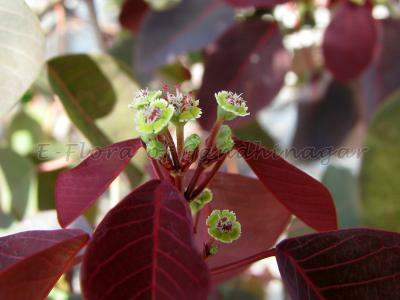 Leaves : Coppery-purple thin fleshy broad. Flowers : Inconspicuous, Green or Whiteflowers with creamy bracts. Fruit : Brown Capsule, Very Small. Significance : It is commonly grown as an ornamental plant in gardens and in pots, due to its colourful and distinctive foliage.